Imagine you’re JJ Abrams, and you’ve been asked to step in for another director, and you’ve got just over two years to write, cast, film and finish the LAST EVER FILM in the Skywalker Saga for Star Wars. It’s not like he hadn’t already dabbled in the Cosmic Conflict series- having brought The Force Awakens to life- but this was different. 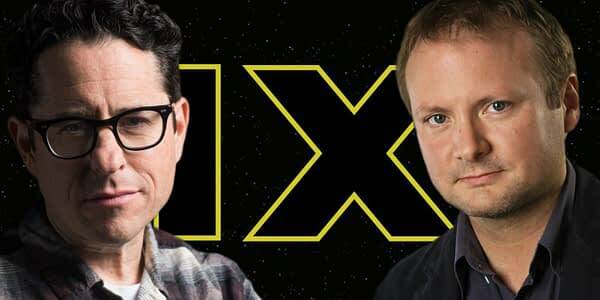 Abrams was asked to step in and take over Star Wars: Episode IX following the dismissal of Colin Trevorrow from the project, and things were apparently a little chaotic. “Because this was such a mega job, I knew at the very least I needed a cowriter to work on this thing, but I didn’t know who that cowriter would be. There was nothing. So the first thing I did was reach out to a writer who I’ve admired for years, Chris Terrio. who I didn’t really know, to say, ‘Listen, would you want to write Star Wars with me?’ And he screamed. I hadn’t been aware until then that I needed to work with someone who would scream at the prospect of working on Star Wars. Because I had been through the process, and I was looking at brass tacks: ‘This is what it’s going to take, this is the reality of it.’ And he was looking at it sort of childlike: ‘Oh my God, I can’t believe we get to play in this world,’ which I needed to be reminded of. I needed that point of view, because that’s not where I was. Of course, I was excited about what we could do, but I was acutely aware of how little time we had to do a fairly enormous job. Abrams then touched on continuing/finishing the story post-Rian Johnson‘s Star Wars: The Last Jedi, which has the distinction of dividing the fandom unlike anything this side of The Holiday Special. “Without getting in the weeds on episode eight, that was a story that Rian wrote and was telling based on VII before we met. So he was taking the thing in another direction. So we also had to respond to Episode VIII. So our movie was not just following what we had started, it was following what we had started and then had been advanced by someone else. So there was that, and, finally, it was resolving nine movies. Now that I’m back, the difference is I feel like we might’ve done it. Like, I actually feel like this crazy challenge that could have been a wildly uncomfortable contortion of ideas, and a kind of shoving-in of answers and Band-Aids and bridges and things that would have felt messy. Strangely, we were sort of relentless and almost unbearably disciplined about the story and forcing ourselves to question and answer some fundamental things that at the beginning, I absolutely had no clue how we would begin to address. I feel like we’ve gotten to a place—without jinxing anything or sounding more confident than I deserve to be—I feel like we’re in a place where we might have something incredibly special. So I feel relief being home, and I feel gratitude that I got to do it. And more than anything, I’m excited about what I think we might have. The Episode IX Star Wars Celebration Chicago panel will take place on Friday April 12th at 11am (CMT). It’ll be streamed via StarWars.com, and we’ll have coverage for you from on the ground at the event. JJ Abrams directs Star Wars: Episode IX from a script by Abrams and Chris Terio. It’ll star Daisy Ridley, Adam Driver, John Boyega, Oscar Isaac, Kelly Marie Tran, Mark Hamill, Billy Dee Williams, Keri Russell, Richard E. Grant, Naomi Ackie, Lupita Nyong’o, Domhnall Gleeson, Joonas Suotamo, and the late Carrie Fisher. It’ll hit theaters on December 20th, 2019. The Entire Schedule for Star Wars Celebration Chicago is Now LIVE! Yes, Star Wars Celebration Will Have a 'Star Wars: Episode IX' Panel!